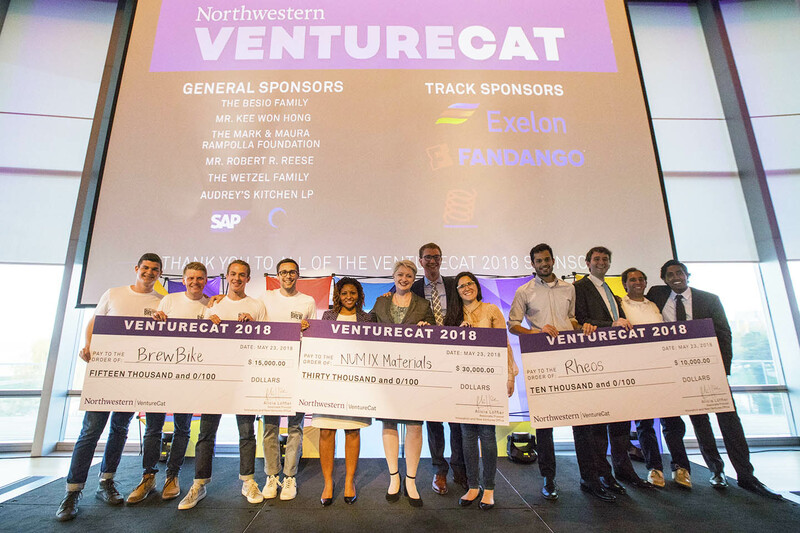 It’s officially a wrap on VentureCat 2018, Northwestern’s annual student startup competition. We had a full day of pitches from 29 of Northwestern’s best and brightest student founders from across the entire university. 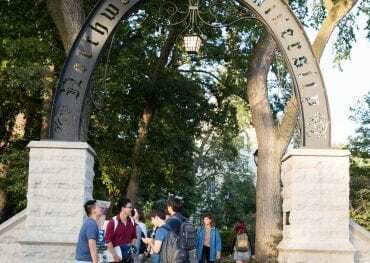 Semifinalist teams represented almost every school at Northwestern and consisted of both graduate and undergraduate students. 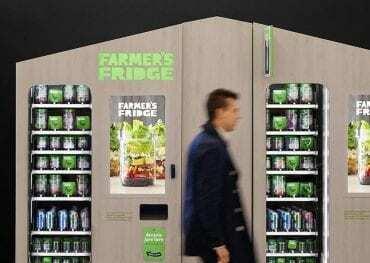 Six teams took the finals stage in White Auditorium at the Kellogg Global Hub on May 23 to pitch to an audience of hundreds, including a panel of esteemed judges. Students pitching had seven minutes to make their case, followed by five minutes of Q&A with the judges. VentureCat is a collaborative effort, not only in planning, but also in a diverse set of startup teams. 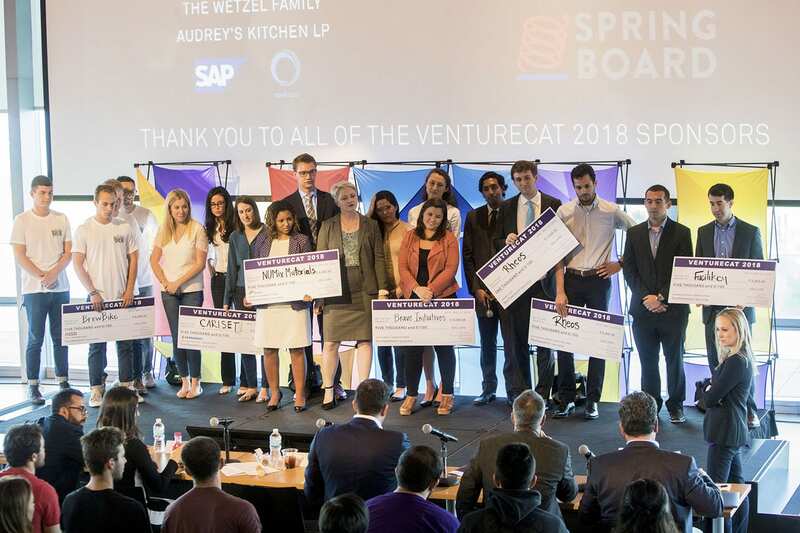 To ensure there’s room for everyone, VentureCat has six industry tracks that students startups compete within at the semifinals. 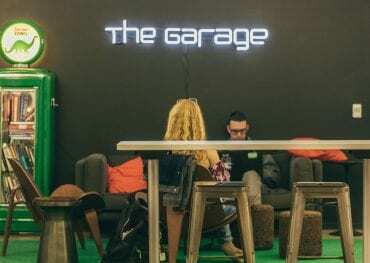 The 29 semifinalists teams this year were nothing short of impressive and included members of The Garage family like PedalCell, BrewBike, BOSSY, Facilikey, Unruled. and many many more. The Kellogg School of Management was also well represented with teams like reBLEND, 2nd Kitchen, LineShift and Commit turning out for the semifinals. Overall, semifinalists teams consisted of student entrepreneurs from Kellogg, Medill, Weinberg, the School of Communications, the Pritzker School of Law, McCormick, and SESP. After semifinals pitches took place behind closed doors, first and second place in each track were awarded non-dilutive prize money. First place in each track took home $5,000 and second place in each track took home $3,000. After a (very short) break for the teams, the first place winner from each track took the finals stage to pitch. All of the pitches were super impressive, and as each VentureCat year passes, it’s obvious that the bar continues to be raised by Northwestern students. During the judges’ deliberation, for the first time ever, we asked the VentureCat audience who their favorite was! Hundreds of text votes were tallied by our team, and Rhaeos took home the audience vote prize of $1,000. Then, we hauled out some very big checks (even taller than our MC, Melissa Kaufman, Executive Director of The Garage) for the top three pitches of the night. Third place, and an additional $10,000 was awarded to Rhaeos, a Life Sciences and Medical Innovations startup that has developed a noninvasive, wearable biosensor capable of diagnosing ventricular shunt malfunction. Second place, and $15,000, went to Business to Consumer competitor BrewBike: BrewBike fuels college students with cold brew coffee. And first place, and the grand prize of $30,000 went to NUMiX Materials, an Energy and Sustainability startup that manufactures and supplies Northwestern University-patented materials to remove heavy metals from aqueous streams at ten times the efficiency of competing materials on a per-volume basis. You can learn more about NUMiX and their mission on Northwestern’s ISEN website here. Thank you to all of the VentureCat sponsors, including both general and track sponsors. Without your help and support, we wouldn’t have the ability to help Northwestern founders turn their ideas into reality. You mean the world to us. And a big thank you to all of the Northwestern units that are vital in the execution and success of VentureCat every year: The Farley Center for Entrepreneurship and Innovation, The Donald Pritzker Entrepreneurship Law Center, The Kellogg School of Management, and all of your best friends here at The Garage. See you next year!